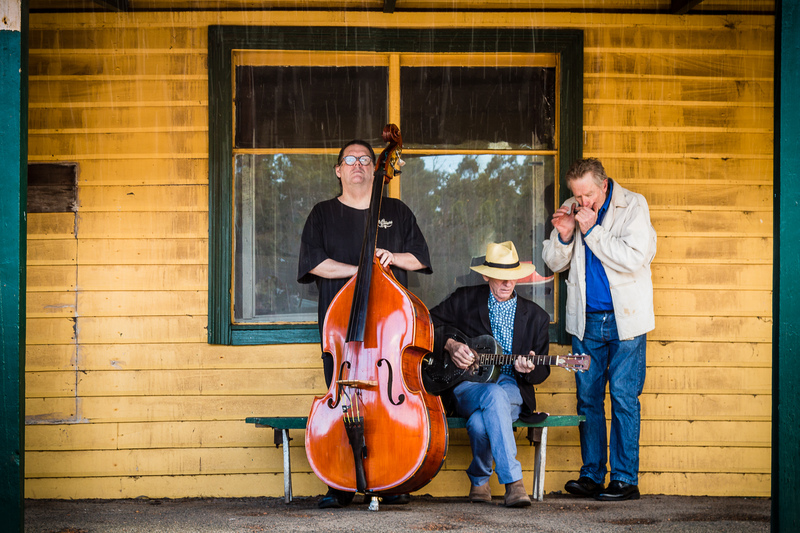 The Ten Cent Shooters are a Western Australian three-piece acoustic blues band, comprising Peter Woodward (guitar, vocals), Scott Wise (vocals, mandolin, guitars and harmonica), and Sean Diggins (double bass). 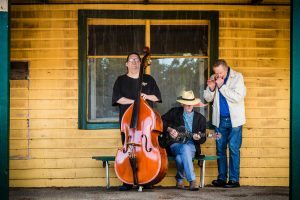 They play in a style based on country blues, a genre which combines traditional European styles and instruments with African-American derived rhythms and songs. Country blues was amongst the first vernacular music recorded, as the recording technology became widely available in the U.S.A. in the 1920s. These first recordings, rediscovered and made popular amongst folk music enthusiasts in the 1960s, are a window into a world of work songs, love songs, ballads, spirituals and dance music played in community settings before radio and records changed the culture. The band tries to remain faithful to the style of the early blues players but also has a unique sound which is popular with people of all ages and backgrounds as evidenced by strong CD sales, airplay on ABC and public radio, and great crowd response at live shows. The Shooters always talk a lot about the history and personalities of the early blues and can play quiet and intimate acoustic concert sets in small venues. Their presentation of this American music is very Australian. They can also play large dance stages and really get people moving. Legendary Australian bluesman Phil Manning at a WA festival described the band as “the most powerful acoustic band I’ve ever heard”.2017 is the band’s 25th year together. They continue to learn new songs from their much-loved old recordings and perform regularly in South Western Australia.